3 Do some research before writing. The first tip we should follow is always know your target audience like the daily soaps we see our moms watching all the time(If you are Indian). 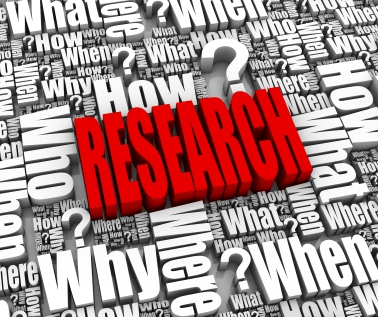 The producers of the show research very well to know before whom they are going to present their programs. Research for your audience and try to target some minimum people because this is your beginning. If you are writing about technology topics, cooking blog, photography blog, entrance exam blog then better you do some research and don’t do the mistake of covering all the topics in the single blog because this type of blog will not be a good food for your search engine. 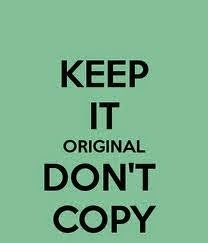 Remember that your content should be new and original because nobody is fond of reading the same content twice.Your style of writing and expressing your views should be unique.Give your conclusions clearly. a. The original content increases the success factor of your blog and your readers also start to believe in your content. b. Also if you want to copy or take some part of any other page then please reference that material.This move will lead you a great appreciation in blogging arena. Do some research before writing. If you are really serious about blogging then please do some research about blogging and try to learn from other bloggers because they have gone through the process and can guide you in a better way. Read and analyze what bloggers have to say about their past experiences so that you can avoid the mistakes that they have done. You also have the facility to add some good blogs of your choice in your list . In this list you will see the latest happenings going on your favorite blog. Whether you believe or not its always said that you present well . So you better decide how your layout will be visible to your user. If your blog is about photography then decide the layout accordingly and if your blog is about cooking and if its about technology then paint the layout well. Don’t hesitate to import third party layout also but be careful because the process is little bit tricky. Take back up of your blog first. In big stores whether the product or item is good or not but the look is awesome so that it attracts the customers. Same is the case of blog if you have good content on your blog but the selection of title is poor then very few people will see your blog. Use and search the words on internet that attracts the users. Use words that are found in search engines because the search engine element is very interesting . Also learn from NEWS channels because they put the title of their news so attractive that they are very sure that people is going to watch it. Ask questions in your title so that it will force user to read the entire content. 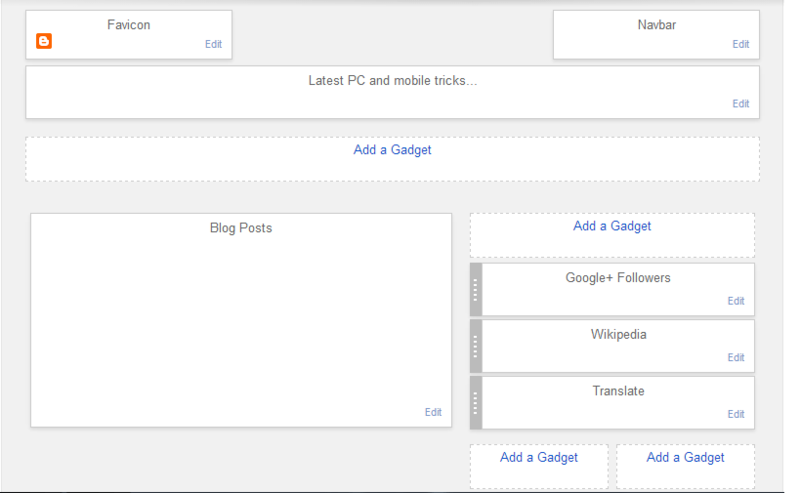 Keep the title simple and complete them in less words because that will be favorite for the search engines too. People nowadays read your content and utilize it but they hesitate in giving their views and comments because it is the nature of human being but they will give their suggestions and comments if you ask for it . 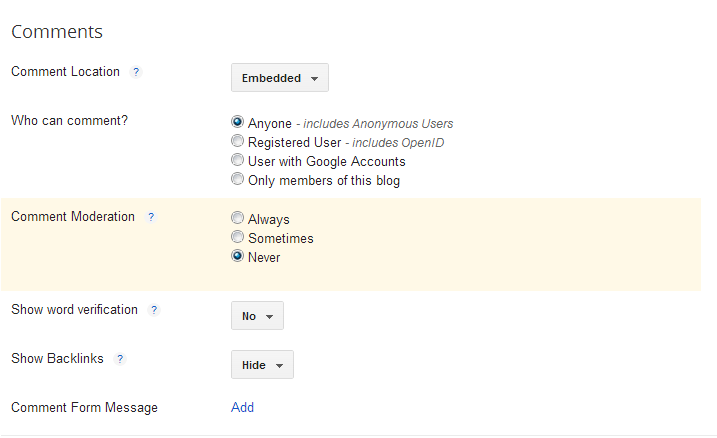 Don’t close the comment feature because comments are the things from where you come to know that your blog is living. Always ready to accept the positive and negative comments because both are equally beneficial to you. Try to make it easy for your users to comment as shown above because no body has time to go through tedious sign in process for a single line of comment. Use the secure features also but use it wisely where some personal information is required. Always end your blog post with the encouraging lines to the viewer of the blog to comment and give you suggestions, encourage them to ask questions and share their experiences. Respond to the comment immediately because that will give impression that you take care of the visitors and also it encourages to other visitors of the blog. Also it will be polite feeling for the visitor who had read and commented or shared something on your blog. Remove spam messages or comment from the blog immediately because it looks very unprofessional and also other visitors feel very absurd. There are plenty of programs available to remove spams. We know the power of social media in today’s age so why not use that media for our own small level advertisement. Spread your post on Facebook,Twitter,Digg and there are many more. Also you can do is visit the other blogs and try to mention about your blog because this is also a great marketing funda for you. Encourage for a guest post: Offer guest post in return so as to get your blog’s link into other people blog. Please give your valuable suggestions and ask for the queries….. I will be glad to reply you. « How to bypass right click block or enable right click copy and paste function on websites?